“Heart Attack” Valentine’s Day Balloons! I’m kicking off 2016 with a heart attack! 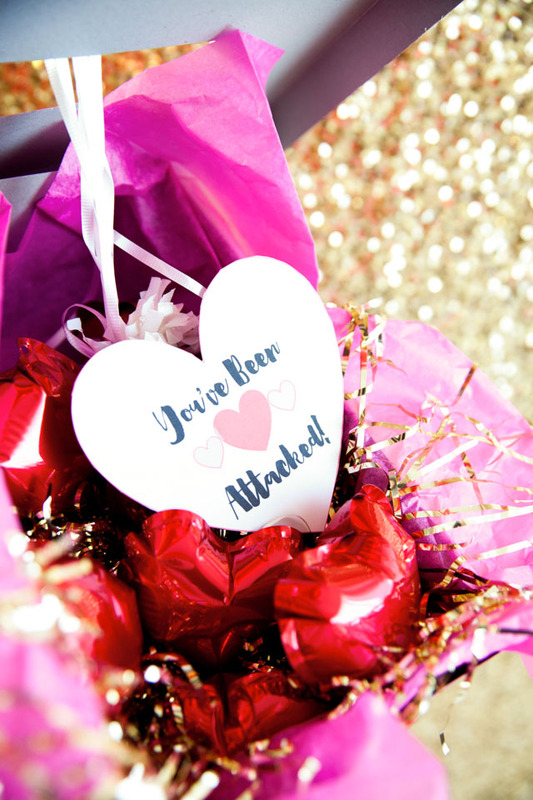 Don’t worry, this is the best kind of “heart attack” – a balloon filled one! Wouldn’t this heart-filled balloon bouquet would be such a fun way to surprise someone special on Valentine’s Day? I know I’d go nuts if someone “attacked” me with these! I created these balloons with supplies from Oriental Trading, and I’m thrilled to have them as a new brand partner of Design Improvised in 2016! I have loved getting Oriental Trading catalogs in the mail since I was a kid. If you aren’t familiar with Oriental Trading, head to their site right now. They are THE source for all things party, holiday, and crafting related. Just check out their awesome selection of BALLOONS! Stay tuned for more crafts and parties inspired by Oriental Trading’s fun products to come! 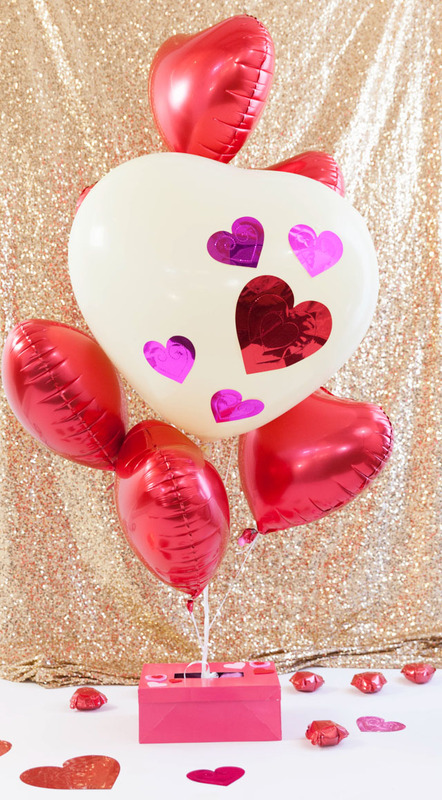 In the meantime, head over to Oriental Trading’s blog to see how to make these “heart attack” balloons! This post is sponsored by Oriental Trading. Photos by ARG Photographs.